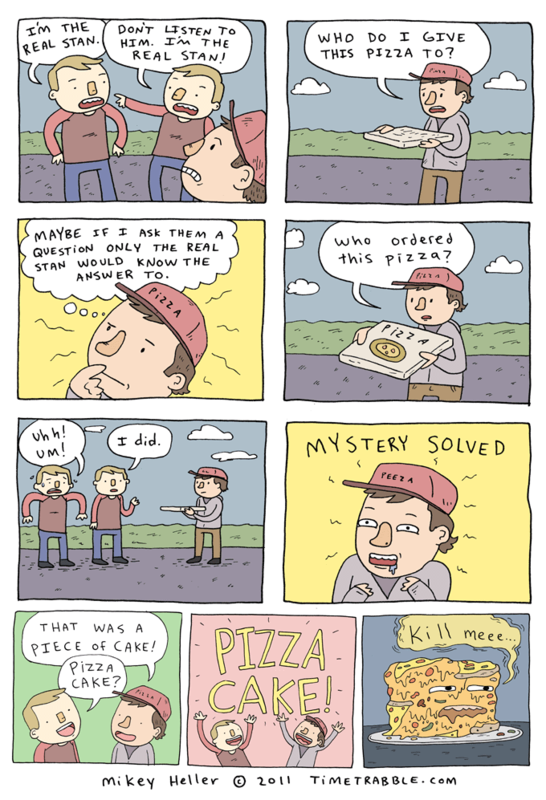 lol @ Pizza Cake. I would give him a good home… IN MA BELLEH!!! Keep up the great work, loving your comic! awesome, now I want some PIZZA CAKE!!!!!! Wait, so what happened to fake Stan? Or Should I say Not Real Stan, because IDK maybe Fake Stan is offensive, like a clone racial slur. I want this. Every day.